The fabulous interchangeable coin rings by Nikki Lissoni are a stylish addition to the popular collection of jewellery that you can customise to fit your style, mood or occasion. 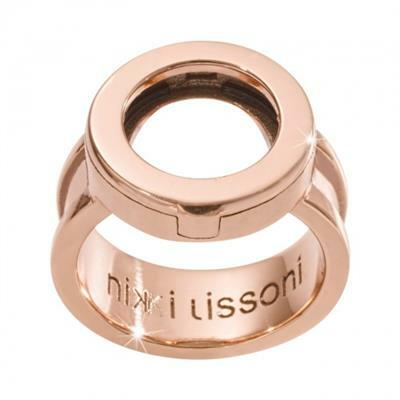 Start your Nikki Lissoni ring collection with this rose gold plated ring, then buy a ring coin to sit inside. Many of the ring coins match the designs of the Nikki Lissoni necklace and earrings for a perfect match.